A coin routine that will amaze your audience! Coins appear, vanish, magically travel from one hand to the other, you name it! Learn over twelve unique coin moves from Vietnam's underground coin master, Yuxu! The perfect effect to perform when you are in a loud bar or lounge and you cannot speak. You need your magic to speak for you! 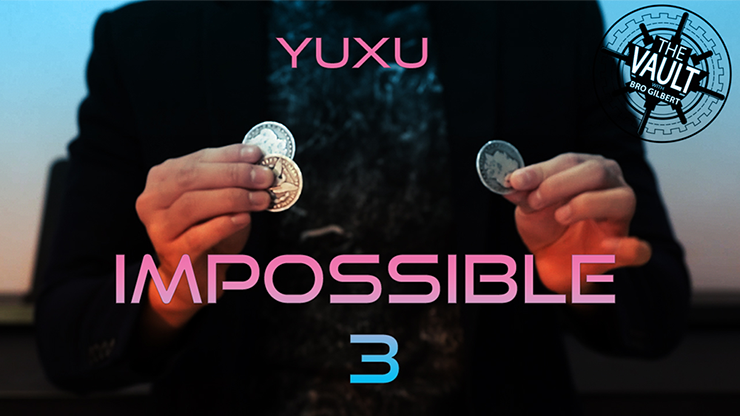 Impossible 3 will become your go to, silent, dramatic, impossible piece of magic. You will fool yourself in the mirror just practicing!